ItemB-03671 - Cartoon by W.H. Stokes, "The Magician, Honourable R.G. Tatlow, Loquitur". ItemG-01536 - Reverend Edward Cridge; made Bishop in 1875. ItemI-82492 - Columbia Street, New Westminster. ItemG-08309 - Mr. and Mrs. J. A. Webster on the balcony, on the left are Mr. and Mrs. H.V. 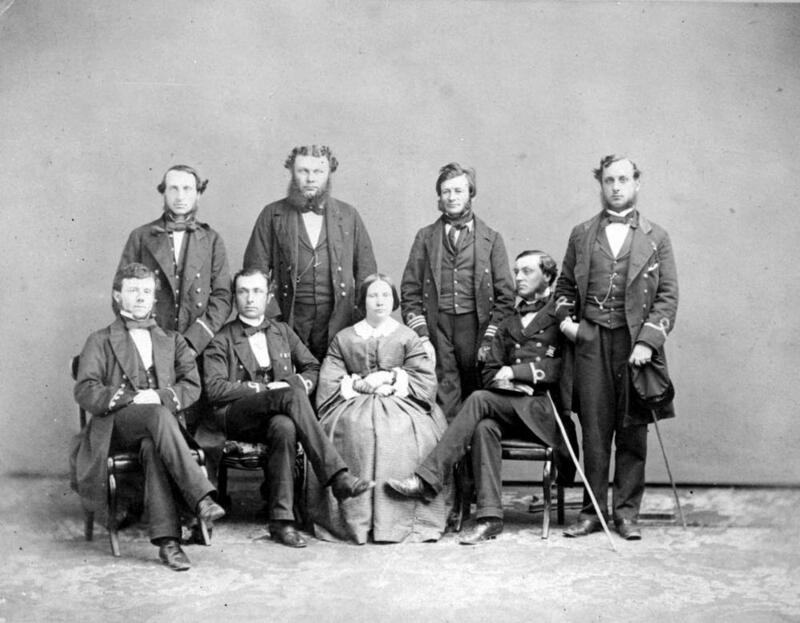 Edmonds, in the centre are Mrs. and Dr. Black, man on the right, unidentified; New Westminster. ItemB-03624 - Group of Nanaimo coal miners at the pithead. ItemI-82084 - "Surf, English Bay, Vancouver, BC"; tinted postcard. ItemI-82085 - "Vancouver, sunset, English Bay". ItemI-82088 - "The pier, English Bay, Vancouver, BC".